We are looking to set up Lunge Tests for Area 5 Candidates, one to be held in October 2017, and one in March/April 2018. Each test will have 2 training sessions beforehand in preparation for the test. 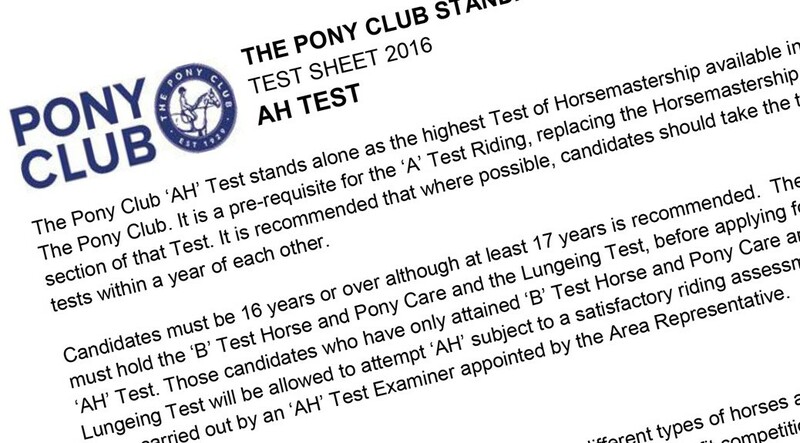 Pre-requisites to take the Lunge test are to have passed the B Test Care or full B Test, and a minimum age of 15. It is necessary to pass the Lunge test before going forward to B+ or AH tests. Candidates should bring their own, or a borrowed, horse/pony that they are familiar with for the training and the test. Would all those interested please send details of which test they would like to aim for and their branch/location, so that training/test venues can be organised appropriately. Own horse required plus Lunge equipment but if you need to borrow equipment let me know. Coffee, mince pies to Spectators and Parents. A Couple of Imminent Dates ….